I knew the entire semester that I wanted to create something similar to Pokemon Go but for the newsroom and other media outlets. However, it wasn’t until later in the semester that the clouds would break and the sun would shine a magnificent concept. I was introduced to Amazon’s Echo (a Bluetooth speaker device with interacting voice-recognizing commands). Moreover, I needed to find something that would be more beneficial than just a daily briefing or update from “Alexa’. So I would put everything on the line and attempt to create probably the coolest, most tangible technology I could think of. My field test for Emerging Media Platforms masters class was to create an Alexa skill attached to a storytelling scene created in Unity 3D software for VR and AR compatibility. This skill will be a voice-command navigational element to allow the user to be guided or create their own tutorial of the story based on Unity. This gamification interactive multi-media Alexa skill will introduce new audiences to stories like never before! I will continue to update this blog as I get progress in fulfilling this new technology. For more information or questions, please do not hesitate to contact me. “The future depends on what we do in the present.”- Mahatma Gandi. This couldn’t be more true. As I sit here trying to project what I forsee the future, nothing more comes to mind than what virtual and augmented reality cna bring to our future. I think by 2032 (at least), we will be communicating through a lens or chip that will transport us to meetings and/ or events that your physical human body cannot be there attend because of location. The only way I can probably wrap my head around a micro chip implanted in you would be if it were kind of like birth control. The one that is implanted in your arm. Then through a contact lens or other communicating objects, the ability to transport and currate content will visably be in front of you. Kind of like what the Holo lens and Oculus can do now but to a level that revolutionizes the need to physically be in one place or another seamlessly. This technology will enable us to customize and aggregate information that we receive or send to new audiences. I forsee the visual will look like a hologram but can actually be sensored through articficial intelligence in order to interact with the content if it is not live. I forsee this kind of advanced AR to be implemented and easily connected with all devices for the best user experience. I understand that these technologies are already somewhat in progress, however, I feel that unless the correlation between all of these technologies I have referred to are combined and utilized by all will be within the next 18 years. Turthfully, we all thought flying cars were going to be a norm by now but are just getting started. Therefore, my prediction for our future of communication will be held within a technology that is voice-activated, sensored, receives currated holograms through VR and AR technology either implanted or inserted into a humans body. I think that this technology will be so advanced that only software updates will be necessary every year and every 3 to 5 years a new chip/ lens can be replaced. Emerging technologies, emerging careers, emerging possibilities… oh my! As our semester is on the home stretch, we are all left to ponder on what may lie ahead for journalists and technological advances within the industry. This is not an unfamiliar thought process for me. I often sit and wonder what is needed in a world that technology is not already researching and working 5 years ahead of the world? What are techies making and conceptualizing for new products and platforms for the tech world that is so simple or obvious that hasn’t been thought of? I often take time every day to look around my surrounds and ask myself, “what isn’t out there that I could think of or build-on that isn’t or already being thought about? What would be helpful in this moment around me (as life passes from all directions)? Well it turns out that the ideas that I thought were really exciting are already being worked on. Soooo.. that was a big bummer. Although the products haven’t been released yet, I had put efforts in that still leave a bad taste in my mouth. But this is what I understand is just the process of an entrepreneur. Nevertheless, I wouldn’t even think that I had a chance to find resources for any idea that I have if it weren’t for Communications@Syracuse. This program has given me tools and a greater mindset for the innovativeness within journalism industry. Moreover, I am looking forward to figuring out how to make my ‘new’ webpage accessible with OSI capabilities. (I feel this is used wrong, but I am that is what I want to accomplish.) Having my site actually communicate with servers to upload content and transfer users to other pages etc. However, to get my blog back on track for this week’s asynchronous session…Technologies and how they might affect my future career from this week’s content has unlimited possibilities. Sensor journalism and drones with voice activation, are three technologies that I believe will enhance the ability to receive and report data on a more indepth scale to interpret a sense of greater understanding for elements existing or interacting all around us. When I think of drones, it is hard to not think of an ecommerce giant near my up and coming neighborhood. Maybe you have heard of Amazon. It may not have revolutionized the way drones are used today but it sure did bring more attention to the buzzing rigs. Amazon’s struggle with the FAA to obtain rights to make human-less deliveries possible, seems like there is no simple solution around passing a regulation that exempts Amazon from falling under privacy laws. The facts are that when people operate technology there is always a place of concern for security and… power. Nonetheless, what does this have to do with journalism and its future on aerial drone spacial imagery? Well… nothing. I am going to be frank and admit I was just trying to pull a local tie with this week’s topic. Well, maybe there is one connection…?! The FAA and the rest of the drone-connessuior. As Syracuse’s very own Skyworks, a collaborative group of sophisticated young ‘techies’ who are changing the misconception of the drone, ‘operator’ by educating qualified, drone-connessuiors to reassure campus regulators, that good old fashion training is what will help build the trust of the FAA. I feel that aerial/ spacial drone imagery is another unprecedented form of visual communication that just like other forms of content creating platforms also went through to get the acceptance that it has now. If there weren’t people pushing the boundaries then regulators wouldn’t have a job. People wouldn’t see how the world looks through someone else’s eyes. I believe, understanding other human perspectives creates a more powerful grasp on one’s own life. I find myself stepping back from my ‘own frame of reference’ a lot more often (as of late) to fully learn manerisims and gestures like never before. It is like I am living in the present and everything around me is real-time. I am standing still. Maybe to smell the lumber that is around me from new construction? Or to hear a swift whisp of the wind? But when I pause my mind for those few moments, I hear the most beautiful converstations exchanged among other humans passing by. I find it so facisnating to learn that people are not speaking about things you would normally assume when walking to work or to the grocery store. And from these converesations I have my Notes App nearly full with documented enlightenment of conversations that sparked new views on everyday things around me that could one day fill a hole of communication that no one knew was there. That is how I feel about drones and the perspective it can give to an audience. The views of a sporting event that is seamlessly produced with all the engaging angles to feel like you are there. Drones provide a special element that can make you appreciate stories on a whole new level that otherwise would be depicted and aired in a way that the storyteller wanted you to see it. I think that aerial imagery and 3D objects will transform your vision and transport your mind into the immersive storytelly of journalism that humans have never experienced before. Not only are drones an embodiedment of a newly immersive way to look at the world but it is a gateway for exposing new capabilites of colabirated technologies for a deeper immersion 0f storytelling to audiences everywhere. What Is the Human Body’s Limit Before Damage? When watching certain sports my curiosity raises about the affects of human-to-human impact on one’s internal organs and/ or bones. Questions like, ‘how much pressure does it takes for internal organs to be damaged?’ or ‘what is the amount of preassure it takes to break a human’s bones?’ This may sound weird, however, I believe that knowing data based off degrees of pressure, force and movement measurments of bodies can be udnerstood in a way that could potentially aid in prevention of injuries and/ or gain knowledge for knowing the limits you can push yourself till it is no longer healthy. Data of this sort can be collected and analyzed from utilizing “Triple Axis Accelerometer Breakout” sensors and “Force Sensitive” sensors. 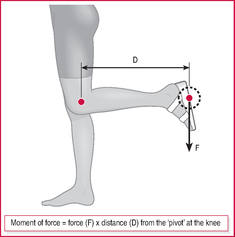 Athletes would wear the “force Sensitive” sensor sown into their uniforms to measure the pressure applied at moment of contact (either with one or more athletes, or impact of objects like ground, etc.). The “Triple Axis Accelerometer” sensor can be attached either to helmets or any other physical object that may be a potential’impact’ point a body may injure themselves on. Motion of an athlete’s body compared to the applied pressure at the moment of impact can be analyzed to receive data that reciprocates different outcomes based off of different body movements and impact. Athletes from a variety of sports in several impactful situations will give the most insightful information to be obtained to understand true and accurate results. Moreover, an inertial perspective from sensors will enable to capacity to which we can understand the body’s true strength (internally). I think that this is a story that would take a few months to receive information desired in order to understanding the body’s limits and/ or resistance before injury. First and foremost, I would like to continue my conversation o fmy ‘field test idea’. This week I was looking forward to learning more about VR and AR as well as 360 video concepts with journalism. And to my surprise, my exact idea (to the T) literally has already been done by a guy at Empathetic Media. I was disappointed, to say the least… however, I still feel that there is something that I could add or attempt still with my idea and AR as an app for newsoutlets. I know that I need a trigger that activates certain stories or do I just attempt to uttilize AR with one story? These are all things I need to think about. I truly was hoping to get some kind of revolation to what technology besides Unity I would need to ask my professor if I could barrow. But I think there is one that I will need if I am actually coming up with specific content. I would need a 360 camera. This is the only accessory I would ask for in order to create content within the AR realm on Unity to activate VR stories within the platform itself. Nonetheless, I think that two great stories could be around Micheal Phelps. One in which would be really fun to recreate a world where you could have maybe a gamification aspect of his swimming world at rio and then certain triggers could activate AR within locations YOU are to know what a certain perspective of the Olympics felt like or looked like from where you are (anywhere in the world ) maybe triggers could be certain similar surroundings that set off a story or feature of the app? For my second idea could maybe the wildfires that are taking place in California. Although these are not uncommon in So. Cal. as of yesteraday almost 100K people had to evacuate. I think from the footage on Facebook, this concept would be quite interesting to recreate, especially the crazy skies from the inferno. Furthermore, this week we are to describe a story in the news that would be a great story to tell if we were to utilize VR tools. I think that I may actually have to go with either Ryan Lochte’s mugging situation (because I can only imagine his face when he was being mugged). Or the fires would be very itneresting to see via VR. Perhaps it could be a little bit of an ‘Oregon Trail’ kind of game?! Like through VR you could learn about the fire and eevacuations, what the emotions are like when in a situation like this and find best routes of evacuates given different scenarios?! Another idea comes from my 6th sense. I truly freak myself out sometimes when things I dream or if I have wierd daydreams that actually come true. Well, I know that I have gained OCD from having this sense because I knock on wood like nobody’s business. LOL Moreover, what I am trying to get at is earthquakes. I literally have a preminition everytime an earthquake happens. This last preminition was on Monday morning when it was still dark out and I completely was panicking in my head because I was fearful that it was the Won De fUca that was going to shift or Mt Rainer was going to cause the disaster but it turned out that there was a 5.4 earthquake else where in Asia. But I think that a VR story of earthquakes over time from histiory would be an interesting feeling to go through and to see the emotion and preparations. To the aftermaths especially with new rules and regualations that come into place after one happens. Even a VR scenario of Mt Rainier and the evauation plan and maybe experience the VR scenarios of the volcano explosion, etc. However, let’s just…’God forbid’ and knock on wood for right now at least. Any of these ideas would be interesting to simulate and get people’s reactions especially if they have never been in a natural disaster or natural scare like this. (Annotations could greatly tell a story like these as well). One last thought…for VR sports stories: through AR and VR created with Unity, someone could be immersed within thier own reality via camera, trigger and sports scenarios via the content of the story. Examples: the story is created solely for the purpose of AR and elements can be viewed and interacted with via an app running in the background. What if it were about the LA Rams training camp and how they are utilizing all of these new era or modern methods of relaxation and physical theropy. So elements of their workout can be seen with in your world and activated to learn more about each technique when you are certain places walking around or when you find certain stories you are activating the next. There could be a gamification feature but I am not sure why that will add or should it add anything to the actual story for journalism purposes. However, maybe a weather app is best to start with or even a traffic app. so that AR is not gamification but activated via you and interest in the annotations of story.?! I need some feedback. Until next time- Lacey. Oh and go Hawks! This week covered quite an amazingly educatinoaly array of topics, yet some pretty ironic topics that really conneted with me because I had earlier, (prior to sitting down and opening the asynchronous lessons) I had thought about several stories or ‘field tests’ that I thought would be cool to recreate from the new technology that we have learned thus far in EMPJ and in the asychronous sessions my questions were brought up and kind of covered! Weird!?! Based from the new technology software and utilities we have learned such as Unity, 3D object capturing,., Virtual Reality, 360 video, and so much more I began to think how I could create something that an audience would immerse themselves with on a daily basis? This kind of question is just one of several that give me some of the reasons I get so excited about where journalism and technology is headed. Actually, this week I thought I was going to get the chance to utilize what we were learning and apply to a real project as the lesson was still going on. However, as most people in my class found out that Autodesk has an issue with overloading server issues. (My one 3D object took two days to process. It is an application on my phone.) This really should not take that long but I really wanted to apply this to my sister’s training video that she asked me to shoot for her and her collegues that would be sent to Germany for focus groups. Becasue, how much cooler would it be than just regular video to easily scan up load and annotate how-tos for a training and the people viewing the training could be immersed into the actual lesson understand from a whole new level at their own pace?! Nonetheless, I think that this would still be something easily done for future training with my sister’s division at her job. Now something that I thought might be kind of interesting applied to my field study and career would be using Unity and creating either a news based or weather based (maybe even a traffic based) AR app on their phone. So that they could get updates or turn an app on and pull the phone up in front of them. Then stories or weather related content (like advisories or tips, etc,) would be annotated in the immeresed enviromenmt of their screen with their normal reality.Honestly, a little like Pokemon Go but not a game and more utility use rather than gaming. Therefore, the app would run in the background and notifications or if they wanted to click see action (even, perhaps virtual stories or live from a streaming feed thety could click on that) going on around them created by that broadcasting/ media company. Week 4 #EMPJ; Journalists & Tech… Ethics are Essential! As I reflect on not only this weeks content in Emerging Media Platforms in Journalism, but over the last few weeks, we have had a constant variable arise that isn’t something that our class is really focused around. Nonetheless, the variable that I am talking about is not any less vital to learn. I am referring to ethics. It something that should always be brought to ones attention when handling information that pertains to other people’s lives. I am proud to say that I came from an undergraduate program that enforced a very high standard of a code of ethics through the Edward R. Murrow School of Communications at Washington State University. It gives me such honor say that I continue my education in an elite program that upholds just as prominent of a standard code of ethics at the Communications@Syracuse program through the S.I. Newhouse School of Public Communications at Syracuse University. However, between the time after my undergrad time and starting my masters degree, the understanding of what was ethical, bias and/ or either became somewhat grey. I think this was because social media, new technology, and citizen journalism. It seemed that people attempting to utilize new techniques and/ or fiddle with social media were not considering areas or boundries of the professional ethics of the journalism industry. Well, some journalists didn’t either and I found myself a little baffled to see how they had a career and I was watching people judge this amazing industry because of the fools who were not educated enough or chose to ignore how to be a good journalist. An industry that was built from the best and elite people was being demoralized by people not thinking before using, basically. With social media as an immersive platform for new technology. New audiences were reached and doors of new ethical conundrums were opened. The new ethical horizans broadened and concerns needed and still need to be considered as this tech age is booming faster than ever with the internet of things. Furthermore,’my ‘grey’ opinion was not only formed from ‘citizen journalist’, but because of how new technology is becoming so interactive, immersive, and with 360 (all around us) is being captured to now. This week’s asychronous lesson has made it even more apparent that I will continue to uphold my standards and never forget what ethical considerations I need to consider before and during production for every journalistic story I produce. It is my responsibility to remember that I owe it not only to myself but whomever I am telling the story to or of that I have transparency. I think that being trusted and known that I am an ethical journalist is one thing that I have always stayed true to myself and anyone whom has ever known me. If anyone would ever question that it would be obsurd. That is why for transparency of 360 and getting out the way for the audience to fell like they are the one doing the interview makes sense. I think maybe show that you are walking out of shot. This could eliminate the shot of ‘hidding’. To ‘stage’ anything would automatically qualify as a docufilm for sure and not a hard story. It would be a feature and not breaking. Unity3D, is such an exciting software that I was thrilled to start learning how to use and apply to storytelling. I think telling a story through a 3D platform, allowing your audience to immersively connect with the scene of a story captures a whole new understanding for an audience to receive a story. The engagement of the 3D story can help give a new perspective and emotional sense to what the story is truly trying to portray. I think that this kind of storytelling is the most innovative and creative, tangilble software a journalist can create with informative content to tell a story. In Emerging Media Platforms, Professor Pacheco intended for us to create a ‘simple scene’ within the Unity3D software. I was beyond hyped to see what I could do with the technology. First and foremost I must admit that I didn’t really believe my professor at first of how tricky it would or could get in a 3-dimensional world (when creating content from scratch) I always seem to figure things out (it may be luck or a ‘rain man’ quality)?! Nevertheless, Unity takes a lot of memory on your cpu and if you do not have enough room then you may need to think about erasing at least 20GB of memory from your existing c drive. I found that I was a little too eager and downloaded all the packages upfront… not smart. You want to do this as you go! 🙂 Therefore, I had to have my father fix my old Z notebook (that is similar to the memory space of a workstation) in order for me to finish this first ‘simple scene’ exercise. When I redownloaded everything for the second time on the Zbook I was up and running. Now prior to this I attempted to create two simple terrain scenes. This is something I can laugh about now but at the time I was pulling my hair out because not only was the software not downloading properly but I kept losing that dam* scene! This happened so easily… I would scroll out then try and grab the ‘hand’ icon to pull the scene, then scroll the grab to get where I wanted to see. But sometimes I would scroll too far (and not know I did so) and my mouse would get lost in the abyss of the sky and clouds! Okay… I will admit that I kept reopening and deleting projects until I figured out what was happening (because this wasn’t a problem with the old computer this was obviously a user error). I couldn’t believe that I was such a space caddet after realizing amateur error that I was creating with a simple gesture that I was literally doing over and over! That error was that I supposedly was scrolling the wrong way (when what would seem obvious to me for the direction to get closer was actually bringing me so far away from the object I was trying to see that the software wasn’t showing me anything remotely close to the scene). WOW!!! But that wasn’t the frustrating part. What really bummed me out was the fact that I was moving things and didn’t realize it till it was too late. At that point you just need to step back and (maybe grab a glass of wine) refresh the old noggin’. I needed to accept that those tedious little moves of objects to center them in the perfect place and in the perfect way was just going to have to be put in the books as good practice. After all I think the end piece (besides the floating plant that I couldn’t get rid of) turned out pretty good, especially for all the lessons I (went through) learned! This scene is not my best but it won’t be my last so I know I will only improve and hone this technology as a valuable tool. Moreover, gaining this skill and useful tequnique for the purpose of great knowledge for a new way to tell a great interactive story is the most exciting thing thus far I have obtained in this program. I am so excited for what is to come! FYI, I am in the process of figuring out how to use a ftp server. And then getting an URL to screencast from the link provided with QuickTime into YouTube (Pacheco, 2016). “Wesley, if you meet someone, whose initials you might want to carve into that elm tree, don’t let it interfere with your studies. I failed organic chemistry because of AF.”-Captain Jean-Luc Picard (Allen, C., Roddenberry, G., Braga, B., Stewart, P., Frakes, J., & Burton, L.,2016). This quote isn’t related in any sense to the actual “Game” itself (“The Game” in reference to the Science Fiction television show “Star Trek: The Next Generation, season 5 episode 6). However, this quote (said in STTNG “The Game” episode) relates to a more recent ‘similar’ kind of ‘game’ from a small series of movies called “The Divergent Series”. I feel it is not far fetched that a similar character as ‘Captain Jean-Luc Picard’ from STTNG would say something along the same lines in “The Divergent Series”. In fact there is an uncanny and maybe ironic connection that the same woman whom would say such poetic words would be the one giving the advice as an adult to her daughter in the futuristic SciFi in was actually the girlfriend of Wesley Crusher in STTNG. Her name is Ashley Judd. Her role in both productions would be of a strong willed woman, whom is very intillegent. Nevertheless, as I write, I’m surprising myself becasue I actually hadn’t thought about the relation of the character or the actual fact that there was a constant in both productions pertaining to Ashley! Weird! Moreover, the real connection with “The Game” and “The Divergent Series”. The two productions have some very common themes. First, there are very dominant smart young adults who save the ‘day’. Second, there is a game that mesmerizes the community and in “The Game” it is more of augmented reality because they do not transport the consciousness anywhere. But in “The Divergent Series” I would say it is more virtual reality since their eyes, mind, and body seem to transported in a simulation within in a different dimension. Third, in both productions had elements of some sort of manipulating influence sanctioned after wearing a device or exposed to a device that the specieman would be led to believe that they were doing things for the right reasons. Fouth, in “The Game”, Wesley helps in the resolution to break the mind control. Ultimately, saving the ‘Enterprise’ from being captured by an alien ship. In “The Divergent Series: Insurgent”, Tris aids in taking humanity’s power back from manipulating their community and relinqulishing the information that was sealed from society, essentially revealing truth. A little something to leave you with said by a little boy genius, “Law 103: A couple of light years can’t keep good friends apart.”- Wesley Crusher (Allen, C., Roddenberry, G., Braga, B., Stewart, P., Frakes, J., & Burton, L., 2016).